The List is a compilation of MPN patient-recommended hematologists arranged alphabetically by location, first Nations, then States within the US. It’s a resource for those searching for a good hematologist. Some who have recommended a hematologist have agreed to be contacted via e-mail for additional information. 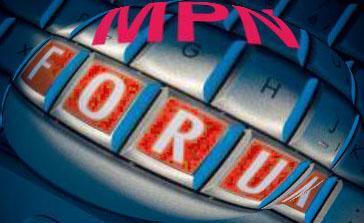 You can request that e-mail address at ourMPNforum@gmail.com or Click here. If you have had a good experience with a hematologist you trust, please share your good fortune by adding the doctor’s name to The List here. If your doctor is already listed, consider adding any comments you like to that doctor’s page. © MPNforum.com, 2012. Unauthorized use and/or duplication of this material without express and written permission from MPNforum.com is strictly prohibited. Excerpts and links may be used, provided that full and clear credit is given to MPNforum.com with appropriate and specific direction to the original content. I tried several times to recommend my doctor in Be’er Sheva, Israel. No success! And, in addition, there was another doctor who was listed in Jerusalem who has recently been removed from the list. There’s a high prevalence of MPN’s, especially PV, in Israel and a lot of expertise here as well. I hope there isn’t a problem with Israeli listings! Thanks for answering, Zhen! The above is the old list I got from my Facebook PV support group (it was just posted in the last couple of days). You’ll notice that Dina Ben-Yehuda isn’t listed even though she was on another list. I guess people keep posting lists from different years and it gets confusing. Thanks for adding Dr. Itai. How can I find out if there is a Hematologist In Fort Wayne, IN that is knowledgeable about treating MPN’s? I am going to one that does not communicate with me and it is very frustrating. I would like to find a new one, but don’t want to just hop around blindly looking. How can I get help with this? Hi Rosemary – Being a Hoosier myself (Bloomington) I was happy to see a recommendation on the list for an Indianapolis doctor (Dr. Mary Louise Mayer), which would be a couple hour drive for you. Unfortunately, we don’t have any recommendations for a Fort Wayne doctor at this point, and it sounds like yours is not one we would want on the list! If you’re interested, we are planning to have an Indiana support group meeting in Bloomington at noon on May 12 at La Charreada restaurant, 1720 N. Walnut St. You’re welcome to join us. Thank you for the invite to the support group mtg. Unfortunately that date will not work for me. I did see a Dr. at IU Med Center, in Indianapolis, for a second opinion. His name is Dr. Larry D. Cripe, MD. How about in Cleveland? That is about as close as Indianapolis. I wish there would be one at the Cancer Center in Goshen, IN. That is where we are from and it is a little closer, and we have family there. Would that be a possibility? I know there are none listed on the “list”. I just wonder how to find out if there are qualified, and knowledgeable Drs. at those places. I think my Hem. I’m seeing in Ft. Wayne, Dr. P. Kollipara, MD., knows what he’s doing, he just isn’t very good at communicating with me about it. When he gave me my diagnosis, he didn’t tell me anything about it. He just gave me the name. And whenever I ask him questions, he dismisses them as not being pertinent or important. Then I find out they are, it is frustrating. So, I would like to find a Hem. I feel more comfortable with who will talk to me. Rosemary, I think you just have to grab the bull by the horns. I live in a small, remote town and have a good hematologist associated with a university who is five hours distant from my home. I asked my GP for a local referral. She gave me two. I googled both names, checked their educational and training backgorunds and then called both practices, asked about their experience in treating myeloproliferative neoplasms, asked how many MPNs they had treated. If they had qualified I would have asked for a phone call before an initial visit. With so few of us, even hematologists rarely treat an MPN patient. It’s worth searching until you find the right hematologist. He or she is your lifeline so it makes no sense to settle. Worst case, travel to your nearest university center once every year and find a local doc for your CBCs. Hi, Ernest…For about two years when I had to be in the Miami area, I saw Dr. John Byrnes at the Sylvester Cancer Center, part of the University of Miami He knew MPNs, administered the most painless BMB I ever had, and was easy to talk with. I was at too early a stage of ET at that point to realize the importance of a good hematologist. He’s one…and, personally, I liked the Sylvester Centers’operation. If you have any trouble digging up contact info, send me an e-mail (zhenyasenyak@gmail.com) and I’ll send it to you. Good luck. Now that Fred Schiffman’s name has been mentioned, allow me to express my love and affection for my dear heme. As everyone in the Miriam Hospital community knows, Fred is a mensch. A real one. Thanks, Arnie – those are high accolades for Dr. Schiffman. If you want to make sure everyone who views the Dr. Schiffman page sees your praise, click on his page and add comments at the bottom of the page. Clearly, Dr. Schiffman has a fan club! You bet, Terry – thanks for sharing your hematologist information with us. Hi – I added Dr. Mark Brunvand from Denver last night but also don’t see it posted. Just wanted to make sure you had his name on the list. Got it, Ann, thanks for double checking. Officially, we’re on a once weekly List update schedule, but my guess is Ellen will want to update more frequently in the beginning. Recommendations are continually coming in and need to be hand checked and entered. (There’s very little that’s automatic about the system so if anybody out there has the programming chops to build us a small routine to handle this would be most welcome.) The other side of hand building is the chance of missing an entry so, after a week, please do check to make sure your recommendation has been listed. Ellen will give it her best shot to update the list with all the great entries received recently in the next few days – but usually there isn’t much time during the week so it’ll end up being updated on weekends. Rest assured, your submissions will get added. Thanks for your patience! Thanks for your quick reply. No inconvenience here. I just wanted to be sure you received my note. Thanks for all you do! I sent in a doctor’s name but don’t see it on the list. How long does the approval/listing process take? Him Andrea… A G-mail bug prevented forwarding of forms for two days, but we finally got it sorted out. Your recommendation, Dr. Steven Perkins in Dallas, was received March 24. I forwarded it to Ellen tonight after seeing your comment and sorting through the in-box. The plan is to update once weekly but it’s possible it will be done earlier this round. Sorry for the inconvenience. Please add Dr. Shaker Dakhil from the Cancer Center of Kansas; Wichita, KS. Thanks! Hi there the new layouts and input is fabulous, may I ask is it just American Drs or can my Dr from Glasgow be added. Absolutely, Diane. Right now the only non-US doctors listed are from China and Canada, but we release The List to the international MPN community this Monday and expect good hematologists from around the globe to be listed. Ellen, An advanced concept and a great format for presenting it. Thanks for the hard work you and Zhen have done and for the unique info –names not from the phone book, but true MPN physicians that patients with actual experience suggest. I read several listings just out of curiosity or maybe just in case. :) A. Thanks, Arch – glad you like it! Great idea. I do hope that more members contribute as this list is invaluable. Thanks, Bonnie – I hope more members contribute, too.